With more than three decades of collective experience in the field of hearing, the professional staff at our Cape Cod hearing center is committed to serving the community with a full range of diagnostic and preventive services. We understand that technology often changes when applied to auditory products and our staff is dedicated to staying up-to-date on the latest improvements and advancements. No matter what your concerns may be, we can help you. Working closely with each patient, we can discover what is causing you the most difficulty to determine the best solution that will increase your ability to hear. You can rest assured that with our solutions will be customized to your specific level of hearing loss to complement your lifestyle and fit within the specified budget that you have set. At Cape & Islands Hearing Centers, we have more than 30 years of experience amongst the professional staff at our Orleans location. Our professional team includes two Patient Care Coordinators and a Practice Manager who are dedicated to helping patients with their hearing needs. We can give you the confidence you need to take the first steps toward better hearing! 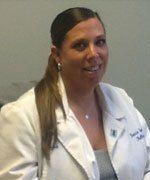 As president, Mackenzie Lewin is a certified Health Claim Specialist and a Board Certified Hearing Specialist in Massachusetts. She is originally from California and resides in the community of Wareham with her son. Contact her at mackenzie@capecodhearingaids.com. Jenay, our office manager, is the right hand lady of Mackenzie. She is a vital part to the success of the practice. 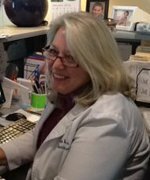 She has been here for over 10 years and is an expert when it comes to hearing aids. Contact her at jenay@capecodhearingaids.com. Count on a hearing healthcare team you can trust! When selecting hearing healthcare professionals, it is essential to find a team you can count on to help you make well-informed decisions regarding your health. At Cape & Islands Hearing Centers, we fully understand this and focus much of our effort on ongoing counseling and education, so that you can have the information you need to make these important decisions. With our commitment to your hearing improvement and patient satisfaction, rest assured knowing we work hard to support your all your hearing needs. Contact us at today at (508) 255-4421 to request more information about our professionals.